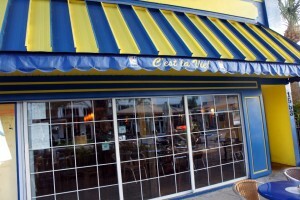 A quaint, casual, and simple French bistro…A little piece of France on Main Street! 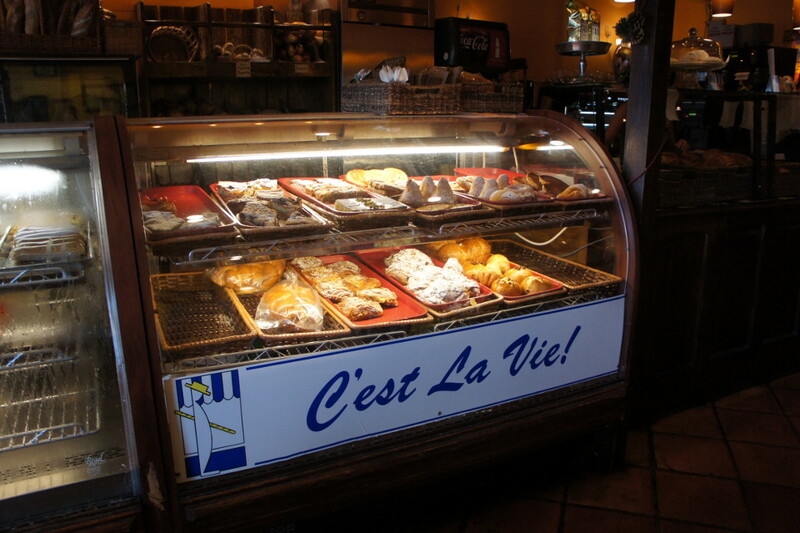 C’est La Vie, an authentic French bakery and Café, makes you feel like you are sitting in a small Parisian café; except you are dining in the heart of downtown Sarasota. When you step inside, you are immediately struck with the European charm. A display case of French pastries and breads, and a décor which truly reflects its French roots. If this downtown Sarasota café’s setting does not make the French connection for you, the selections on the menu certainly will! 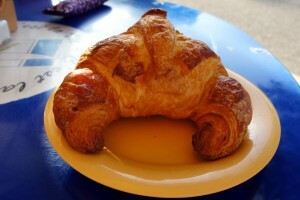 Croissant, brioche, omelets, crepes, baguette sandwiches, salads, and more; the choices are extensive. 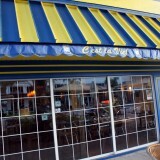 With its extensive menu, we found the selection process to be challenging. There were so many specialities we wanted to try. 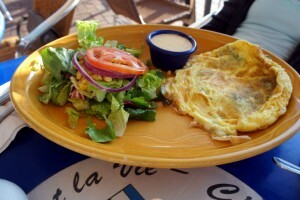 Omelet: Plain, $6.65, 1 ingredient $7.70, 2 ingredients $8.65 Served with side salad or potatoes. We chose a spinach and a spinach and cheese. Both with delicious, creamy and filling. Wonderful way to begin your day! You can’t go wrong with any pastry you choose! They all bring your taste buds to France. A Parisian classic; crusty bread, tasty ham and cheese. A classic. 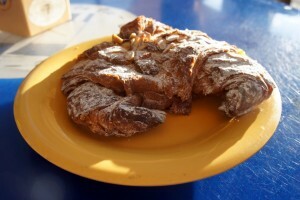 Crusty bread, salty and sweet. The bread had me dreaming of Paris, the salad was fresh. Chock full of ingredients. Classic from southern France. We have spent a considerable amount of time in France and found our experience at C’est La Vie to be authentic and enjoyable. The food was simply prepared and presented with an accent on quality. Our return to C’est La Vie is assured not only by the quality of the food, the selection of items on the menu, but the overall experience. If you can picture yourself sitting in a small French bistro enjoying a light meal, but do not have the time or money to travel to France. Then try the Sarasota version of the French bistro, C’est La Vie. You will be delighted. Bon appetit!